Whether you’re struggling with opioid and heroin abuse or helping a friend or family member with their battle with any addiction, we’re glad you’re here. Mental Health Recovery Services of Warren and Clinton Counties offers free services to put you in touch with the resources you need to heal. If you have general questions about what kind of services and programs are available to you, or where you can get help, fill out the form below. If you have specific questions about how treatments work, contact one of our partner provider agencies directly. All correspondence is completely confidential. Only your first name and contact information is required. 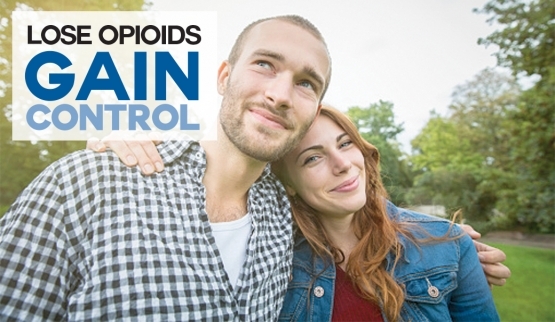 We’re here to help you lose opioids and gain independence. Let’s start the conversation now. Is your service confidential? Can I remain anonymous? Services are confidential. We recognize that privacy is extremely important to you. It is to us, too. Providers understand that, and have policies and procedures in place to protect your treatment confidentiality. Provider agencies must abide by state and federal laws around privacy, including the Health Insurance Portability and Accountability Act (HIPAA). Agencies can only disclose information in extreme cases or emergencies, such as a requirement to report information to legal authorities or a threat to one’s health. We also have a Client’s Rights statement giving you information about what you are entitled to when you are in treatment. You’ll find a copy on our website. Could I get in trouble with the law by contacting you? No. Seeking treatment for addiction is not a crime. What will happen after I fill out this form? First, we won’t keep your information. We just ask for it so we know who we are talking with when we answer. Your question will be answered as quickly as possible. PLEASE NOTE that you should only fill out this form if you are looking for general information about types of treatment or about our provider network. If you want specific information about treatments, when to start treatment, or how to get an intake packet, it’s best to directly contact one of the agencies in our provider network to get started. You can get their contact information by clicking on the Partners tab above. In an effort to knock down cost barriers to treatment, the board has waived our sliding fee scale. Regardless of ability to pay, we encourage treatment and have service contracts in place with many providers to offer a continuum of care. If a local provider is not able to meet your needs, we may have connections to other providers that can help. Does health insurance cover treatment for recovery? It depends on your plan. Some insurance plans may have limits. But our goal is to ensure that any barrier be knocked down so you can get the help you want. Will I need to miss work? How long does treatment last? You shouldn’t need to miss work to receive treatment, but depending on the service needed it might be necessary. Some levels of care to treat substance abuse, for example, could involve an overnight stay for detoxification and/or residential services. When you start services, it usually means stopping in for “same day access” – usually during the afternoon hours – to complete your packet. Many employers may be willing to work with you on scheduling if you find you might need to miss a day. Talk with them in advance, if you can. After the initial visit, you should be able to work ongoing services around your schedule. Most of our outpatient provider agencies offer late day or evening hours to avoid the need to take vacation or sick time. How long treatment lasts depends on the plan you and your therapist work out. The two of you will decide together what the best course of treatment will be, and what kind of time frame is needed. That puts you in control.